Drago Mocambo has earned rightly has an incredibly large fan base in Germany. The Italian family Drago roasts in Germany according to old tradition their coffees. Here price and performance are right. 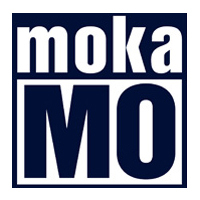 The ESE pads from Mocambo meet this philosophy.The good Coffee for tradition of the Mocambo coffee roasting company was born in 1985. This is where our persistence in communication, tasting and sharing of this Italian pleasure, which has made it possible to grow throughout the years, began. 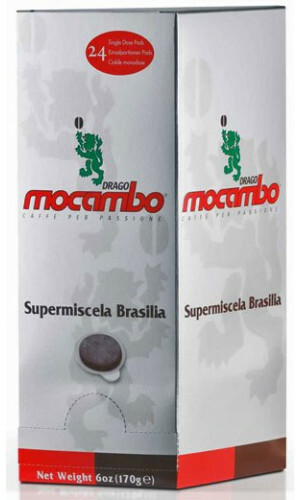 Mocambo's mission, which is also our personal challenge as a humble Italian family, is to continue moving ahead, always producing the best mixtures of espresso coffee, spreading Italian culture all over the world and keeping a high profile with and providing excellent quality to our customers. 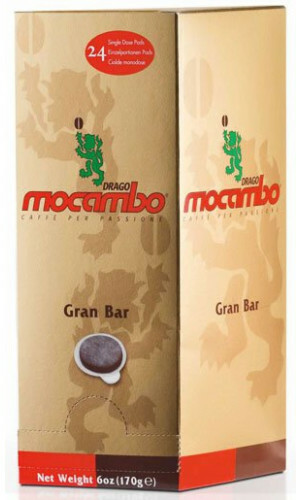 (mocambo Website) This Mocambo E.S.E line of coffee capsules, Gran Bar, for office use, gives you a unique aroma and a delicate cream. The coffee capsules Brasilia answers perfectly to the needs of our modern customers, having a good coffee break with a solid and strong flavored cream in their office. The single cup coffee-making formats from mocambo do remain a popular choice for passionate coffee lovers at home, because you can have your coffee quickly and then dispose of the used POD conveniently. 24 E.S.E.-pods of 7g each = 170g, These Pods are NOT suitable for Senseo, Lavazza or any other capsule system! 25 E.S.E.-pods of 7g each = 170g, These Pods are NOT suitable for Senseo, Lavazza or any other capsule system!